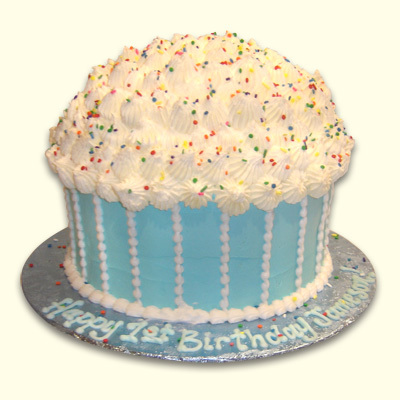 The Ultimate Cupcake 3 Tiered Cake is the perfect sweet design to celebrate a birthday or any occasion. Each layer is delicately embellished with fondant artistically created to replicate a cupcake. 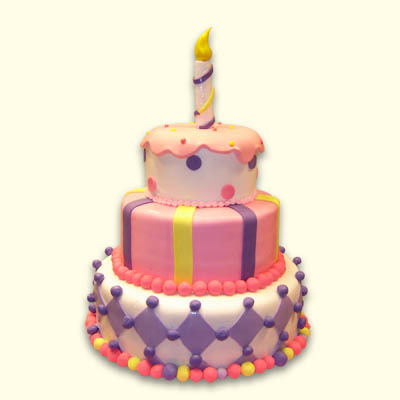 Serves 65-85, flawlessly smooth fondant with custom matched color and design available. We can color match cupcakes & cookies as favors for the ultimate celebration too!